It seems like Volvo this year comes with great aspiration to set their emboss in Indian car market. Today, on 16th March, Raipur, 2018. Volvo has inaugurated a new dealership in Raipur addressed as KNS Volvo. This is the 21st showroom in India, after the successful inauguration done in Kozhikode. Mr. Charles Frump – Managing Director, Volvo Car India inaugurated the facility. The KNS Volvo is a 3S facility located at Tatibandh in Raipur, Volvo has also maintained the global retail experience standards, while covering the plot area of 30,000 sqft, in which includes a built up of 7,369 sqft covered for the showroom and 4,457 sqft is dedicated for the service centre. “Raipur is a new territory for Volvo Cars and has a high potential to contribute to our short term goal of doubling our segment share by 2020. 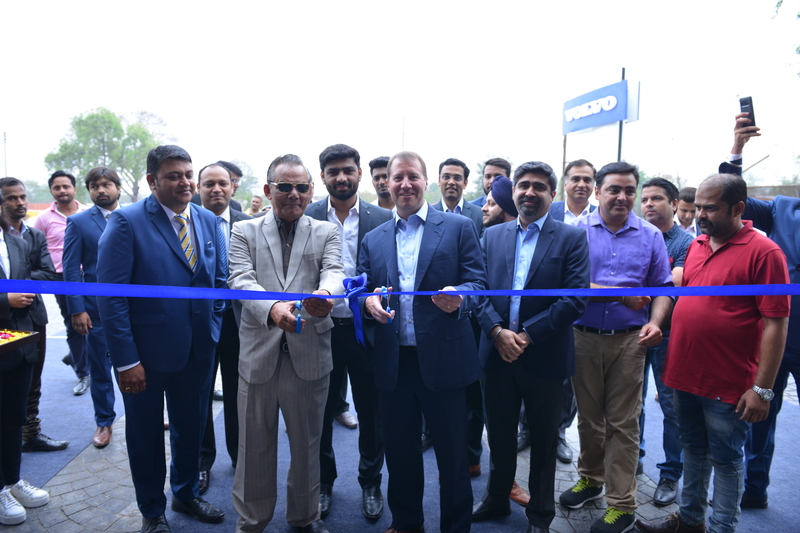 Our distinguished products and a unique Swedish customer experience will attract the luxury car buyer in this region”, said Charles Frump – Managing Director, Volvo Car India who inaugurated the dealership. 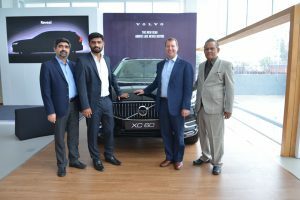 “KNS Volvo has already set up a strong team and are upbeat about contributing to the Volvo Cars success in India. Our presence in Central India will boost the brand potential and we look forward to a successful partnership with our dealer here”, he added. Now it includes Tatibandh (Raipur) if we talk about the Volvo’s dealership all over in the country, the car brand is almost covering all the part such as – Ahmedabad, Bangalore, Chandhigarh, Chennai, Coimbatore, Delhi NCR – South Dehi, West Delhi and Gurgaon, Hyderabad, Jaipur, Kochi, Kozhikode, Lucknow, Ludhiana, Mumbai, Pune, Surat, Vishakhapatnam and Vijaywada too. Beside all the gathered information Volvo Cars India line up is – Sedan – S60 & S90, Cross Country – V40 Cross Country, V90 Cross Country & S60 Cross Country, SUVs – XC60, XC90 & XC90 T8 Excellence, Hatchback- V40.